Guardall is Australia’s own superior gun safe manufacturer. We design and style our own solutions and we get them produced according to the most stringent level of quality regulations. Guardall offers you a safe for every role; homes, businesses and organizations right through to finance institutions; all to keep your posessions safe from thieves and flames.Look through our site in order to find the safe that you believe fits your current needs, and call our team right away for the Guardall remedy. Tel 1300 1 SAFES (1300172337) in order to get patched through to your nearest Guardall Preferred Rep.
Getting a safe for the home or office can be a good way to protect ones own valuables. There are numerous solutions offered and the most suitable option is dependent upon just what you actually need to secure, the risk and the level of security you may need. Whenever theft is a worry, select a product that could be anchored securely to your residence or business premises for the very best security measure. In case fire protection will be your main concern consider the fire resistance rating. Regarding media including data cassettes and discs, decide on a media safe utilizing dry fill construction which doesn’t release water vapor. Installing a good safe at home or perhaps business might have advantages in reducing insurance fees. 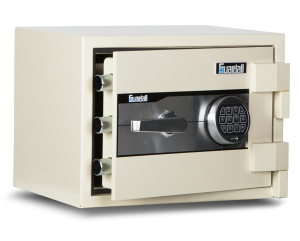 Check with your insurance broker to find out if the brand new safe or vault should qualify you to get rate reductions. Whichever device you choose, consider the options very carefully to make the best selection to defend your valuables. Or possibly quicker, give us a call and we’ll help to guide your decision making process. The particular moment you need that protection you will know that the time was wisely spent.